Effretikon, 26 March 2019 - The contracts were signed in February, which means the partnership between skybow and IT system integrator Axians, which pursues as an ICT partner a 360° approach in order to successfully optimize processes for clients and implement digital business strategies in a future-proof manner, is in full progress. Axians is a Microsoft Gold Certified Partner, offering companies the entire Microsoft spectrum from a single source. This includes license consulting services for Microsoft SharePoint as well as migration, implementation, and customization of the platform. "Our new partner Axians knows the Microsoft world better than anyone else and is highly aware of what customers expect when it comes to modern collaboration. SharePoint is an excellent foundation for them and Axians adapts the tool to the users’ individual needs – now including our skybow Business Apps. 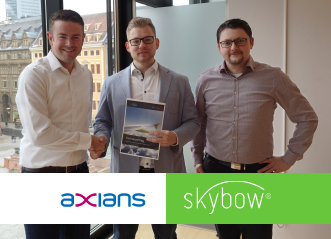 Thanks to our partnership with Axians, more and more companies can build and manage apps more easily using skybow Solution Studio," said Florian Pflanz, Business Development Manager at skybow. Both companies will benefit from the partnership. skybow Business Apps will be distributed more widely among SharePoint users in Germany. Axians on the other hand is sharpening its SharePoint portfolio: the IT service provider has already implemented various solutions using templates from the skybow Solution Studio, such as a ticket system, an order management solution for hardware, and an employee management tool including a feature for approving vacation requests. Axians has developed workshops that demonstrate to their customers how skybow Business Apps can be used to quickly and easily implement, manage, and deploy use cases. 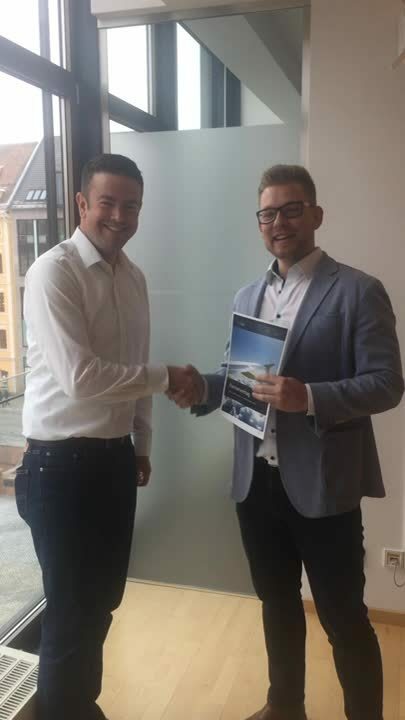 "We are pleased to have gained another strong partner for our portfolio in skybow. This partnership takes our offering for business apps in SharePoint to the next level. With the signing of the contract in February, we have set the course for a successful collaboration," said Nils Gräf, BU Manager Collaboration at Axians. The Axians Germany group is part of VINCI Energies`global brand network for ICT solutions. With its integrated ICT portfolio, the group supports companies, local authorities & public-sector bodies, carriers & service providers alike in modernizing their digital infrastructures and solutions. In our four business lines - IT infrastructure, IoT & Analytics, Telecoms & Carriers, and Public Software - our consultants, developers and engineers improve lives of people: by way of cloud and data center infrastructures, cybersecurity, enterprise and broadband networks, IoT solutions, managed services, and leading software for waste management, bulk goods industry, technical services, and local authoroties. In an IDG survey on customer satisfaction, Axians was ranked second among Germany`s Best System Houses 2018.